Develop your creative skills and expression with a degree in art from Washburn. You'll gain a strong foundation in all media and art history, as well as options to advance your expertise in a concentration of your choice. With small classes sizes and expert faculty, you'll get one-on-one attention and mentoring opportunities throughout your time at Washburn. Our specialty studios and gallery space will allow you many opportunities to create and showcase your art. The Washburn University art department is accredited by the National Association of Schools of Art and Design. The Bachelor of Arts in Studio Arts is the right major for students who want experience in many different mediums. You'll learn the foundations of art history, drawing, and design. From there, you can choose the courses that interest you most and gain experience in any art medium you choose. Do you have interest in galleries, museums, and the role of art in society? The Bachelor of Arts in Art History will allow you to gain a a greater understanding of art throughout history, in different cultures and parts of the world, and it's role in the present. You'll also get an in-depth understanding of museums and research. 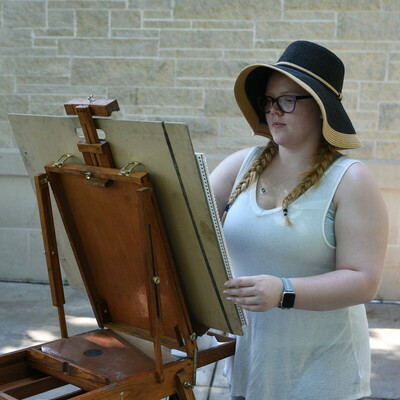 With seven concentrations to choose from, the Bachelor of Fine Arts in Art is for students interested in art careers and advancement to graduate art programs. In addition to concentrations in art history and general studio art, you can choose to focus your studies on ceramics and sculpture, graphic design and electronic art, painting and drawing, photography, or printmaking. Your upper level courses will focus on your chosen field. Every Bachelor of Fine Arts student will have a senior exhibition to showcase their work. Do you want to become an art teacher? The Bachelor of Fine Arts in Art Education with teacher licensure will prepare you to teach art, preschool through high school. You'll take courses in the different studio arts and in art history and you'll have a senior exhibition. You'll also take professional education courses and student teach. You'll graduate the program licensed to teach in Kansas and ready to become an art teacher. 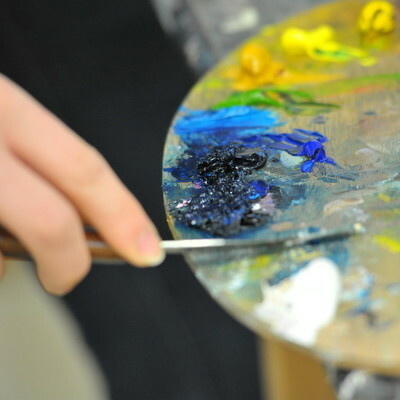 Two minors are offered in the art program: studio art and art history. 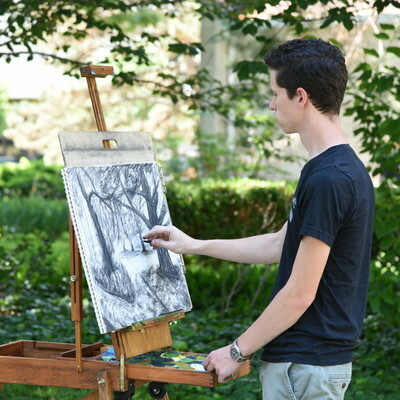 A minor consists of 18 hours and includes study in art history and studio courses. 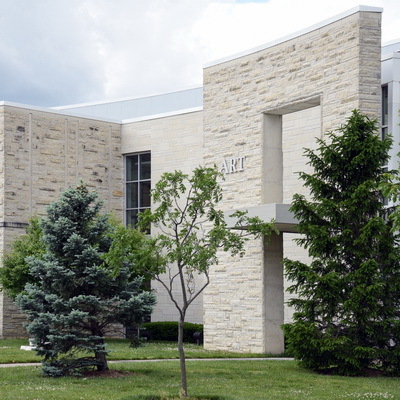 The Art Building includes nine studio classrooms, gallery space, a sculpture patio, a student lounge, and beautiful gardens and a pond behind the building. The Art Department serves those intending to prepare for a profession in the Visual Arts (B.F.A. degrees), those students seeking a Liberal Arts education focused in the visual arts (B.A. degrees), as well as non-majors who seek knowledge of the visual arts. Studio and art history courses are open to anyone with proper prerequisites. Over 60 audit students are welcome as space allows. 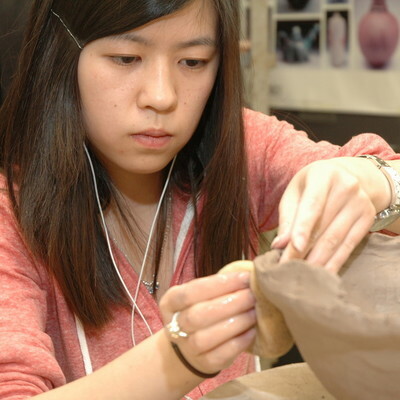 Note: A studio fee is applied to those enrolled in Ceramics courses and Glass courses. Apply for art department scholarships. Scholarships available for incoming freshmen, current students, and transfer students.